Valves are an important part of the equipment manufacturing industry. They are indispensable fluid control equipment for pressure-bearing special equipment boilers, pressure vessels and pressure pipes. They are widely applied in: petroleum, chemical, power, long-distance pipelines, shipbuilding, nuclear industry, aerospace, onshore & offshore oil recovery, and other fields. With the development of cryogenic technology – liquid helium (LHe), liquid hydrogen (LH2), liquid nitrogen (LN2), liquid oxygen (LO2) and liquefied natural gas (LNG) are evolving in the fields of nuclear fusion energy, aerospace, petrochemical industry and daily life. 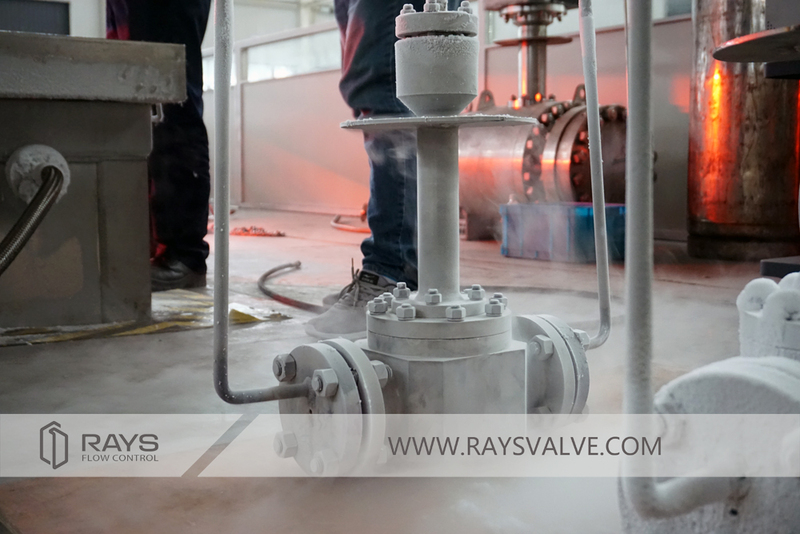 The application in the field is becoming more and more extensive, and people put forward higher requirements on the performance of the cryogenic valve matched with the pipeline transportation system. Because the operating temperature of the cryogenic valve is extremely low [i.e. liquid helium (-268.9 ºC), liquid oxygen (-218.8 ºC), liquid hydrogen (-252 ºC), liquefied natural gas (-161.6 ºC), etc. ], the design and manufacture of valves presents a series of serious technical challenges. Zhejiang is a large province for valve manufacturing, and the valve output value has accounted for nearly one-third of the total valve output value of the country. Although the backbone enterprises in the province have been able to design and manufacture various valves in accordance with international standards such as: ISO, DIN, and API. Some of the manufacturer’s products have reached the international advanced level and there is still a huge gap with foreign companies in the core technologies. Also, high-end valves still rely on imports. The Project of Natural Gas Transmission from West to East China is a very large-scale infrastructure for the construction of the country during the tenth five-year period. A large number of LNG (liquefied natural gas) Terminals are required to be built along the way. The LNG Terminal Phase I Project basically purchases cryogenic valves from foreign manufacturers such as South Korea S&S, American Flowserve, Spain Poyam, British Orton, Italian TAI, etc. Domestic valves are only purchased as spare parts. In recent years, the country has actively implemented the strategic measures for the localization of major equipment, which has brought a rare opportunity for the development of the valve manufacturing industry. The State Council issued a request to rely on key projects in the fields of high-efficiency clean power generation, natural gas pipeline transportation, liquefaction storage and transportation, and targeted domestic production of key products. Through investigation, it was found that the cryogenic valve is a cutthroat product of the above key projects. In summary, the two sides will make full use of the: talents, intellectual strengths, scientific research capabilities of CAS, market resources, and production conditions of RAYS. In order to play their respective roles, they share resources through technological innovation to promote technological progress and the transformation of scientific research achievement. With the management level, we will establish a close cooperation relationship between “production, study and research” to form a pattern of mutual promotion of research and industry, common development, and a win-win situation between industry & academia. The scientific research results brought by this cooperation will exert significant economic and social benefits and contribute to the development of China’s valve industry.